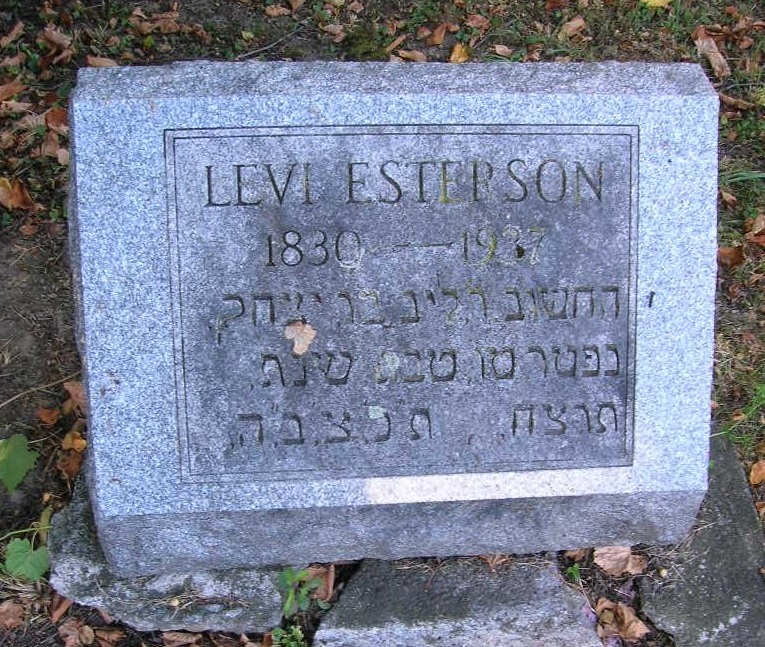 Last rites for Levi Esterson, 106, oldest inmate of the Jewish Home for the Aged, who died there at 4 p.m. yesterday, were conducted at 2 p.m. today at Birnbaums funeral chapel by Rev. Moses Braude. Burial was in Adath Yeshurun cemetery. av., before going to the Jewish Home for the Aged in 1931. His wife, Mrs. Dora Esterson, died Dec. 23, 1909. He never was forced to use glasses and remained active until the past three months. 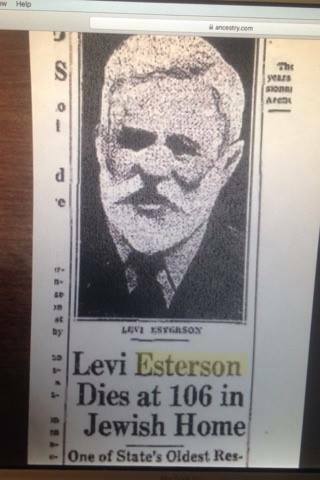 Surviving are his daughter, Mrs. Butin; two sons, Isaac and Emanuel Esterson, all of this city; 14 grandchildren and 23 great-grandchildren. Mrs. Butin is 75 years old, Isaac and Emanuel are 65 and 52 years old, respectively.